On Tuesday 7th May, at 2am, Ahmad as-Sars was arrested whilst in his home with family and well wishers gathered to mourn the death of his grandmother the previous day. New Askar refugee camp faces many problems in its right to exist, economy and the support it receives. 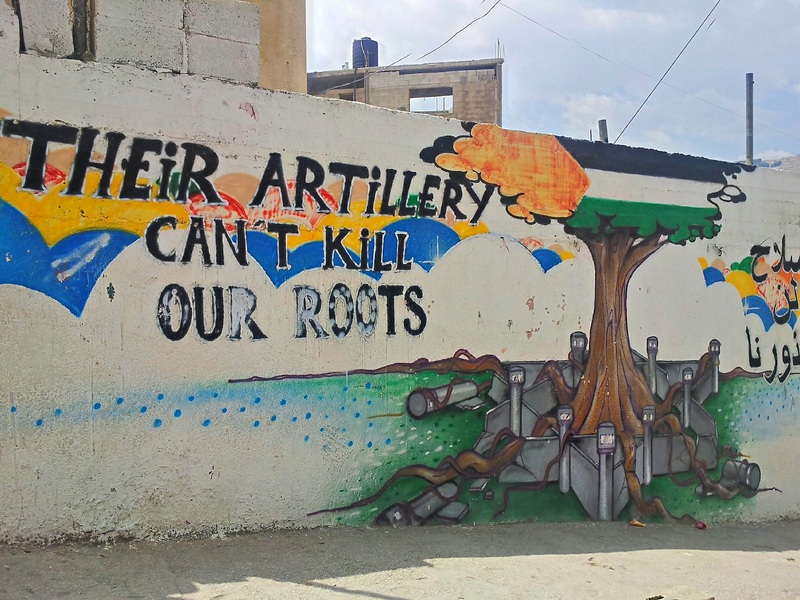 Despite their daily struggles, hope for the future remains strong in the next generation, of which the independently run Keffiyeh Community Center, located in the camp, is an impressive example. 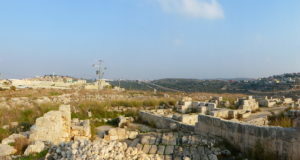 New Askar camp is situated north-east of Nablus in the Askar area. 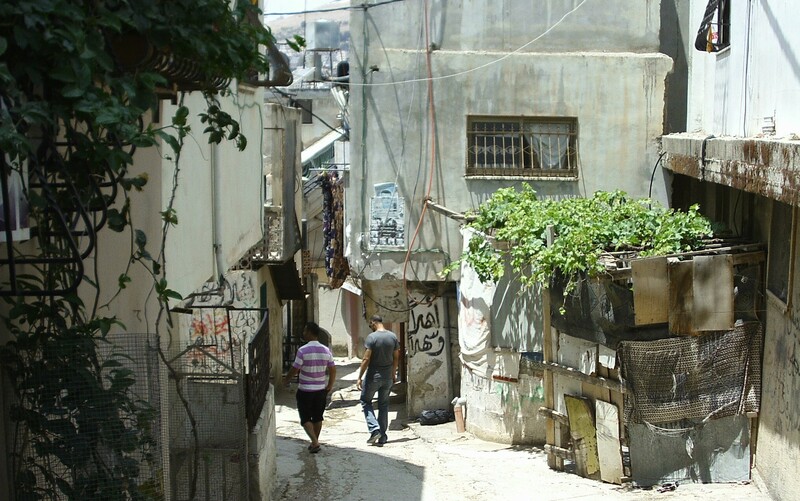 It was created in 1965 to accommodate the increased number of refugees who were living in (old) Askar Camp that was established in 1950 after hundreds of thousands of Palestinians were forced from their homes in the Nakba, the ethnic cleansing of 1948 that was part of the creation of Israel. Ahmad as-Sars, 23 years-old, was arrested during the early morning. His grieving father pleaded with the soldiers not to take him until the next day. He was told, however, by the soldiers that they were ‘just’ taking him to Huwwara military base and would return him at 4am. During the arrest they searched the house, bringing dogs into the home and took all the mobile phones. They herded 40 family members into one room, the large number due to the death in the family. 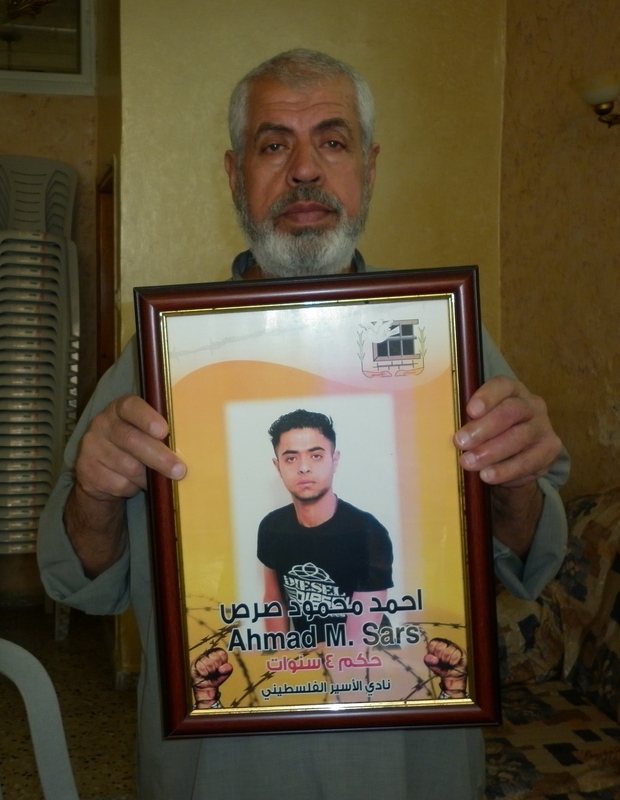 Currently Ahmad is still in prison and the family have no news of his whereabouts. Ahmad was previously arrested at the age of 16, when he had just received his ID. His father commented that this signified the Israeli occupation forces seeing him as a ‘young person and man, although he was a child. Just because he received ID, they considered him a threat’. Ahmad was imprisoned for 5 years, during his late teens until his early twenties. His education whilst incarcerated was partially restricted, although he was granted equivalent high school education and exams. Ahmad’s physical and mental health deteriorated in prison, where he became anxious and felt ill in his stomach; he did not get better until he was released. Ahmad works in the family hardware shop and is the youngest brother of 6, all of whom, except one, have been in prison. One of Ahmad’s brothers has been in prison for ten years. 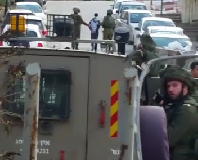 Arrests and incursions by Israeli troops are common in New Askar camp and they have suffered much in the ongoing occupation. New Askar is not officially recognised as a refugee camp by the United Nations Relief and Works Agency (UNWRA) and as such there are no UNWRA installations in the camp. Although, in 2008, an UNWRA school was opened in the camp, but the 6000 residents are still expected to use the services in the old Askar Camp. 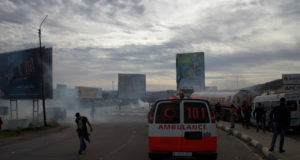 An internationally funded sports centre was converted into a medical clinic to support the population, but the camp struggles to provide all the necessary services due to its unofficial status and by its position in Area B that is supposed to be under joint Israeli and Palestinian Authority control. 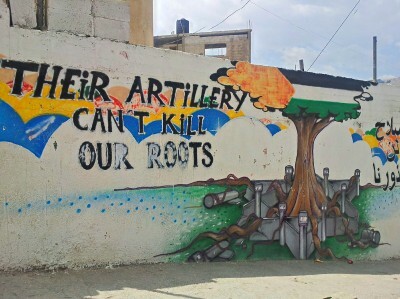 One community organiser in New Askar told international activists that the camp has many problems and that the youth have nothing to do, ‘no entertainment’. Very high unemployment is a factor in the camp, which combined with the lack of entertainment, leaves the youth of the camp disillusioned and without hope. The Keffiyeh Communtiy Center was set up independently by residents of the camp, to offer sports, activities and education to young people. 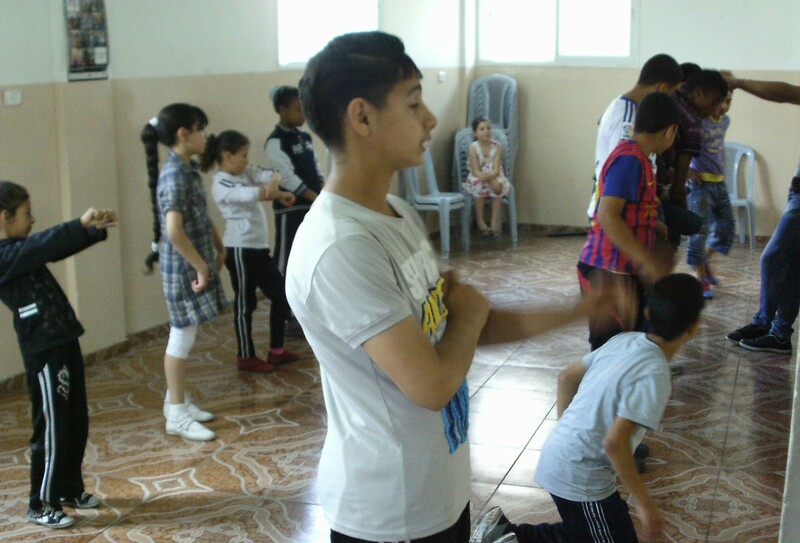 The centre, although small, is a great success where children learn the traditional Palestinian dabkah dance, various sports and take part in field trips. The centre promotes international links and looks forward to one of its students traveling to France to take part in a boxing tournament. Ahmad’s story shows the harsh reality of young people living under occupation and the attempt by the army to deny children a childhood. Community centres set up all over the Occupied Territories successfully give some children a chance to be children and, in so doing, continue the resilience of the Palestinian people.